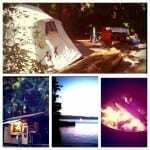 Make your camping reservations for this summer, if you haven’t done so yet. Reserve through Washington State Park Online Reservation Service (Washington) or Reserve America for Oregon. They’re going fast – when I checked, availability was very limited at some popular parks. The scramble for BC campsite and yurt reservations starts on March 15 at 7 a.m. PST at the BC Camping Reservation Service (Discover Camping). 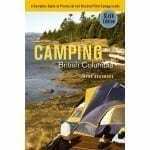 Read more on camping with kids in Washington State, camping with kids in British Columbia and camping with kids in Oregon. 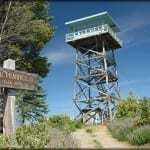 Book your room for hot summer properties: Oregon Coast, Whistler and Leavenworth. Particularly if you’re planning for a popular summer weekend. Decide which weekend you’re going to set aside for your local family tulip festival and make plans, just in case spring arrives early (here’s to hoping!). Go on a weekend daytrip to break up a rainy month; we have suggestions for Portland and Seattle. Play with kids in the snow before it melts away. Even if you have to drive up to the Cascades for the afternoon. Take advantage of off-season Priceline rates in the big cities: Portland, Vancouver, Seattle. Or take advantage of shoulder-season rates at one of the NW’s popular year-round destinations: Oregon Coast, Whistler, Mt. Hood and Victoria (you won’t find excellent Priceline deals in these cities, although Whistler sometimes offers a few). Enjoy this month’s free (or discounted) museums and attractions in Portland and Seattle. Lora, I second your suggestion to book campgrounds early! 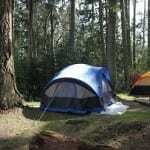 I have listed some campgrounds that are accepting and not accepting reservations here: http://www.thenorthwestcamper.com/p/wa-state-parks-campground-reviews.html Deception Pass and Lake Wenatchee are two popular sites that have suffered a rough winter and won’t have all sites available until repairs are made.